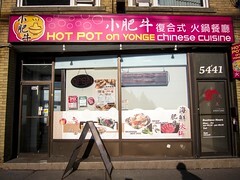 Oriental Gourmet is a newly opened Chinese restaurant at the corner of McCowan and Highway 7. The BF’s family has tried dropping by a few times without reservations but they’re always full with a long line of customers waiting. This just made us more determined to get a seat and we actually ended up with reservations for dinner and lunch during the holidays. Atmosphere: The previous incarnation of the space occupied by Oriental Gourmet was an Apple Jack’s. I’m not sure how extensive renovations were but the interior of the restaurant is pretty standard, not overly decorated or kitschy. Large round tables occupy the centre of the dining room and booths line the walls. 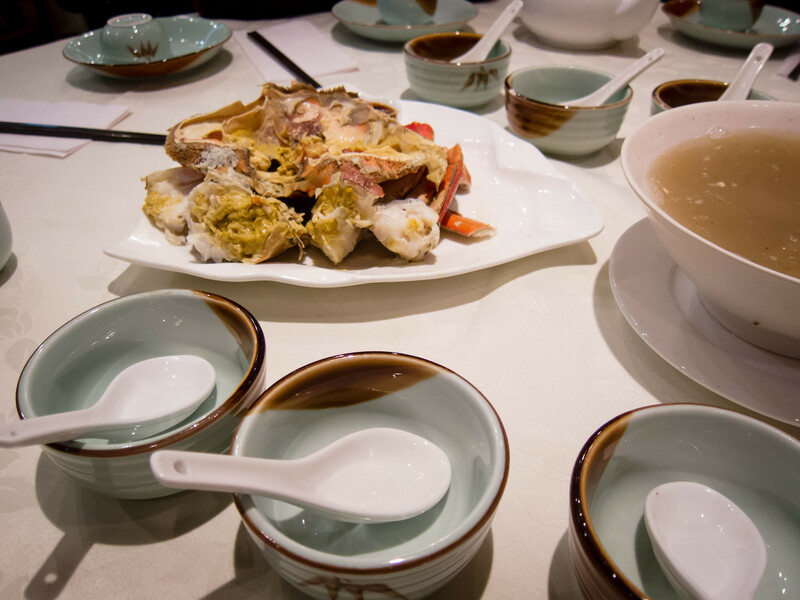 Heavy china plates are used for place settings over white tablecloths. There was no background music playing and the noise level allowed for easy conversations. Service: I don’t have many notes about service, not exactly friendly but efficient and competent. During the dinner service, while the restaurant was busy, we weren’t rushed, each dish arrived quickly and teapots were filled on demand. 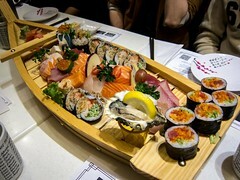 The lunch service was at a slower pace. 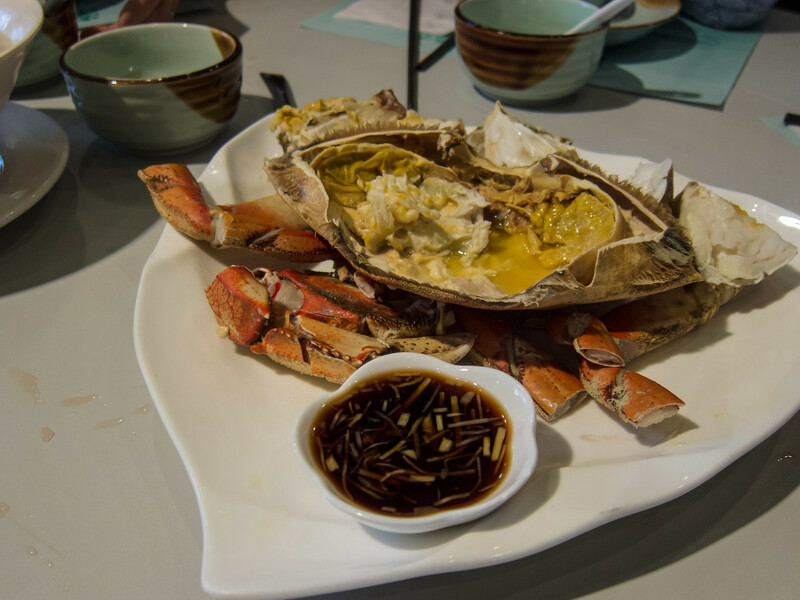 Food: For dinner, we ordered a set menu that included pork stomach soup, cold crab, marinated duck and tofu and deep fried fish. To this, we added a cuttle fish stir fry. 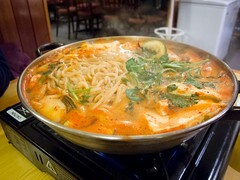 The stomach soup is a specialty of the restaurant and this was my first time having the dish. 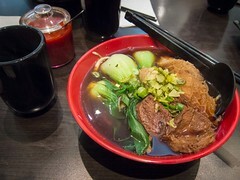 The broth was heavily peppered with white pepper, savoury and the thin slices of stomach were tender and well cleaned. 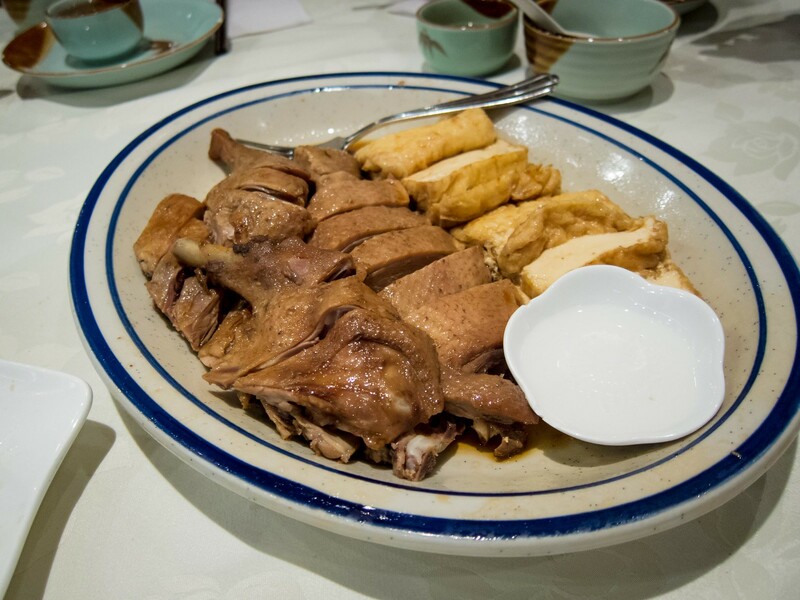 A platter of marinated duck and tofu arrived with a small bowl of white vinegar. I actually liked the tofu better than the duck. For me, the duck was just ok but the tofu had a great texture, soaked up the flavour of the sauce and agreed more with being served cold. 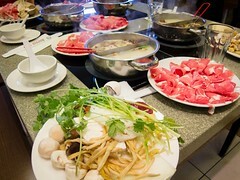 My favourite dishes of the night were the cuttlefish stir fry and deep fried fish. 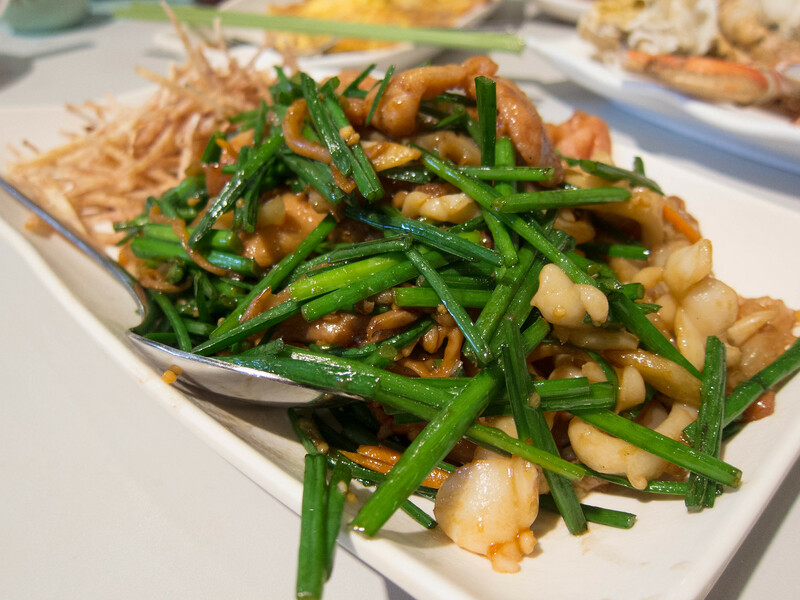 The cuttlefish was tender, almost like pork belly, stir fried with a generous portion of garlic chives and had amazing “wok air”. Everyone liked the dish so much we ordered their special stir fry the next time we visited, which was just as good and served with fried julienned taro. 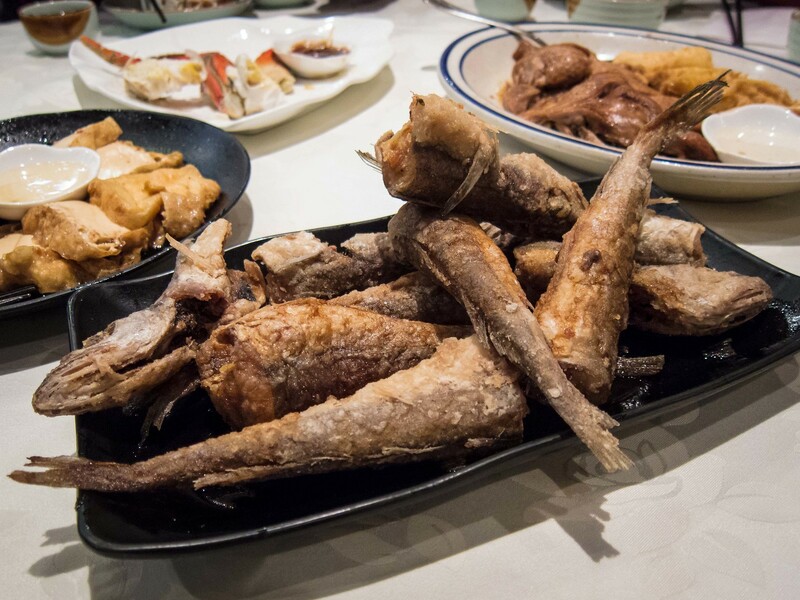 We also re-ordered the deep fried fish. 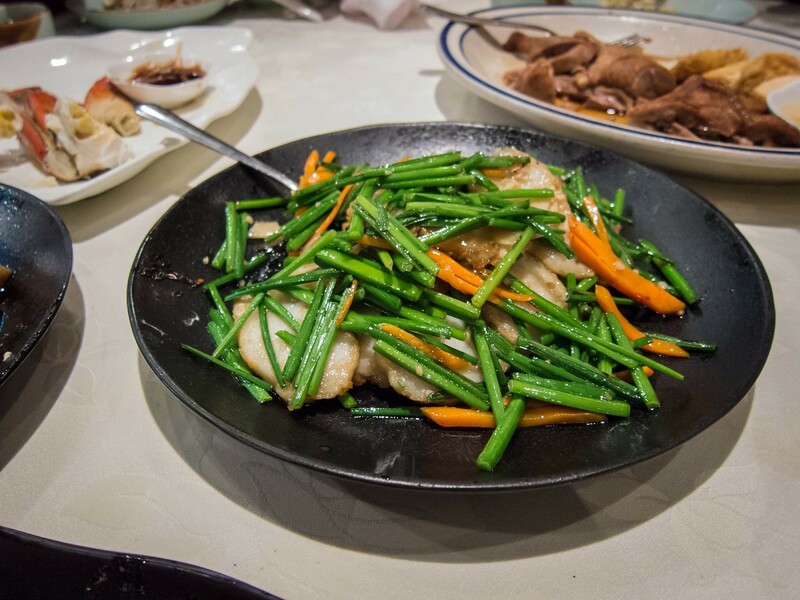 Each fish was cut in half, fried to a crisp and served over a sweet, reduced soy sauce. The entire fish was edible except for the main backbone. Surprisingly, the dish wasn’t overly oily either. 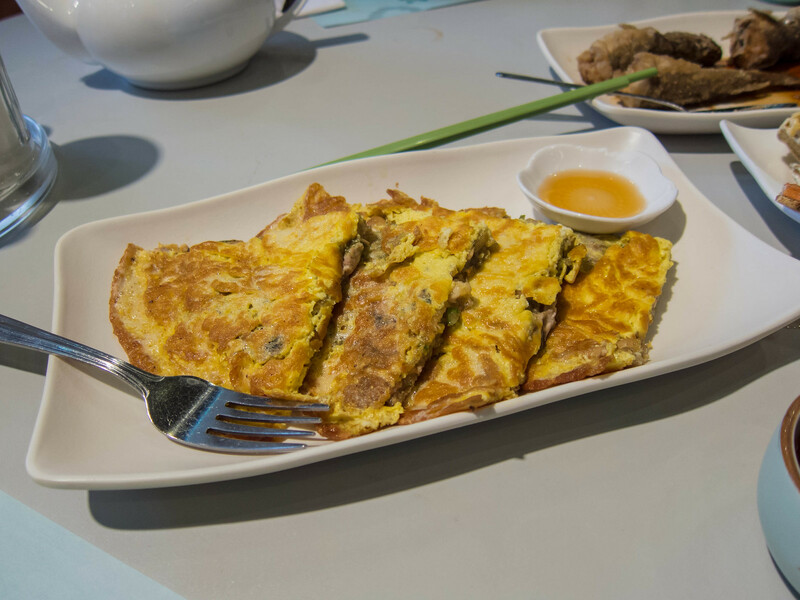 Another new dish we ordered at lunch was an omelette with oysters. Again, the fried egg had a nice smokey flavour.